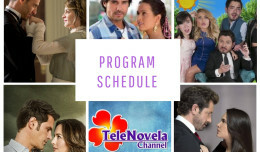 Passion: Episode 54 | TeleNovela Channel - Bringing you closer to lifes drama. Pablo informs Ricardo that he saw Foreman, Alberto and Lisabeta together. Ricardo harasses Lisabeta and Francisca to tell him if Alberto has the letter but they swear they didn’t know. Meantime, Ricardo and Mario plan to break in the house of Alberto La Font.